Shout with joy to the Lord, all you lands; lift up your voice, rejoice, and sing. Music has played a significant part in the life and ministry of Grace Church since its founding. Affiliated with the Royal School of Church Music, Grace Church endeavors to provide the finest quality training for the offering of music in worship. 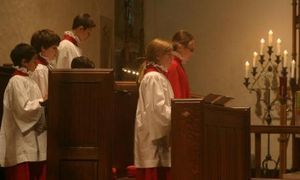 Click the mp3 players below to hear the Grace Church Parish Choir, the Trebles of the Choir School at Grace Church, and MagnificatBoston in excerpts from Evensong for Pentecost 2010. The Parish Choir rehearses from 7:30pm until 9:00pm on Wednesdays during the Choir Season, which usually runs from September through June. 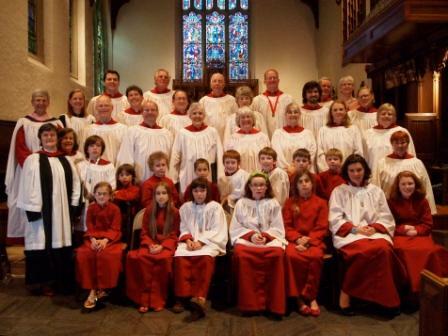 All of the members of the Parish Choir are volunteers, and membership is open to all. For more information, please contact Larry Kamp, Grace Church's Director of Music. Click here for more information. is an internationally recognized early childhood music program for babies, toddlers, preschoolers, kindergarteners, and the adults who love them. First offered to the public in 1987, it pioneered the concept of a research-based, developmentally appropriate early childhood music curriculum that strongly emphasizes and facilitates adult involvement. Music Together classes are based on the recognition that all children are musical. All children can learn to sing in tune, keep a beat, and participate with confidence in the music of our culture, provided that their early environment supports such learning. Music Together, taught by Teresa Ines Coelho, is offered this year at Grace Church on Saturday at 9:30 am. Click on Teresa's picture to learn more about her and the program. ©2013 Grace Episcopal Church. All rights reserved.